We seem to get up earlier at present because the mornings come light earlier..soon there will be a time adjustment. The track out to the Eyre Highway was dry but very rough and ridged from vehicles driving through in very wet conditions. 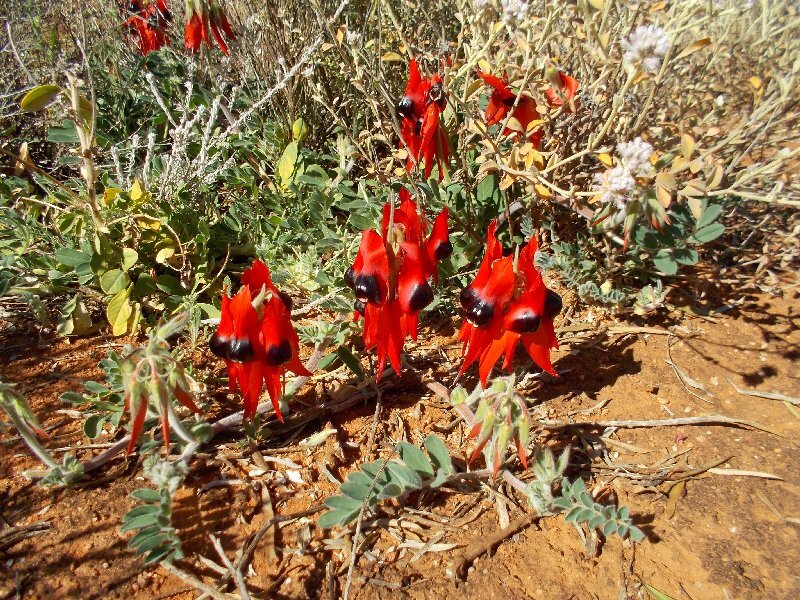 The bush, again, has been very pretty with yellow cassias and wattles as well as white pink, purple and mauve flowers and even an example of Sturt's Desert Pea. 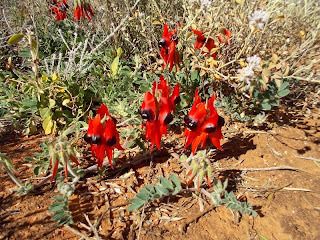 After meeting the Highway at Balladonia we have scooted along on the bitumen as far as Caiguna where we have found a bush camp amongst some very grey and twisted trees. 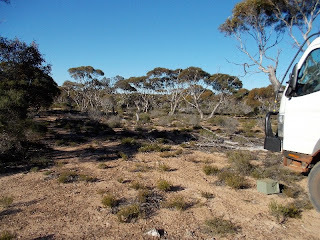 The Nullarbor wind is blowing which is a change. We have hardly experienced wind at all and no doubt this is why the trees are so twisted and deformed.